Often when I am recruiting people to join the life insurance business, an objection perceptions they become an insurance agent hated person raised. Some even say, friends avoided friends. Is it really like that?. Any situation can occur in all professions. Whether it is a car salesman, marketing of the bank, and a host of other professions. To be loved or hated not having to go through a profession. Because sikaplah determines someone to be hated or avoided friends. The good news, too, which determine the attitude of a person can be loved by others. Predominates on the mind, own perception of the agent of the situation. 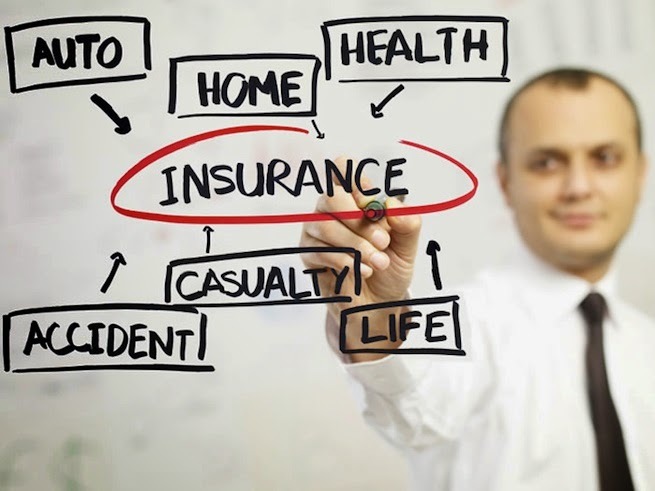 For me the sale of life insurance is a good product to sell. Life insurance products is part of the financial plan of the family. Even if a friend or prospect will not buy, they do not reject me personally. But because they do not understand the importance of the product. They did not open their heart to receive a draft financial plan. Even the much misunderstood, buy life insurance as mortgage his soul with some nominal. Which of course is not in accordance with the religious beliefs they profess. Thus, their rejection is not a set in stone, but it takes time to get a new understanding of the importance of insurance products. The days are past, an insurance agent is dominated by "rogue" in the sense of the word are not accepted in a number of other jobs. While their unemployed to work as an agent, when the insurance company can be said to accept anyone who wants to be an agent. This condition worsens the image of the insurance company through an agent who is not a professional agent. With limited capabilities, they do not sell good presentation, but more to pity. Customers who buy products causing insurance due to pity his agent or insurance agents do not take continuously attended. So the arrival of several insurance agents interfere with the activity of others. The work is not based on a long-term vision, but only a leap of work because they do not think the direction of better service. When the insurance agent think just to get high-end customers, which they automatically commission. Thus, when customers need help regarding agent strategy difficult to achieve, even those who have disappeared without a word. Conditions worsened when the position of the bank is not as advanced as today. At a time when the banking system still requires the presence of customers with direct deposit, make customers reluctant to deposit their own premiums. Shortcuts are taken to assign premiums to the agent. In this way, an agent of opportunities for customers to gamble. Mental unpreparedness provide customer funds that should not be right, is a tried to use for personal agent. Originally borrowed for a short life, but a long time to accumulate and eventually the premium that should be paid to the company was not able to do so. Due premium is not paid, the policy outcome is never published. Or if premiums have continued, resulting in the policy becomes lapse. And when there is a demand, the insurance company does not pay the claim. Angry customers, and there arose a generalization to a profession. If an insurance agent is a crook. Agent is not true, then the company will also affected the image. Then, the resulting charge Insurance Company scammers! Today, the situation is rare. This time, in the era of professional insurance agents as a financial advisor. But the bad image of the past still haunt some of our communities. Therefore, our task now, do not reject the allegation with words, but we prove it with our attitude. What is not liked by the insurance agent? Like most insurance agents are always "chasing hunt 'prospects. They contacted prospects without knowing the time. Come directly or contact by phone. Insurance agents often vilify private products and competitors. Insurance agents do not explain what makes the application are not paid. Thus, in the minds of customers always get the sweet things, but in fact received end. Before concluding, very easy to communicate with an insurance agent, but after closing disappeared without a word and very difficult to contact. Well, if we know the above is often the case. We as an insurance agent should be the opposite. How we work must be professional. The arrival we should help provide solutions for financial planning. Instead of begging for help to cover the target. Services actually increased after your prospects into customers. Attention to clients and their families. I always saves the data on a smartphone clients and their families. Every birthday I always sends greeting. And some clients, particularly large premium, I always send a birthday cake. I give special attention to good customers. Often, agents forget the good customers. They actually pay attention to the "chatty" or as anger, sometimes treated as agents employed sorry client. Customers do not appear to need service, once again wrong!. Good customer should receive special treatment because they do not bother us. In addition to learning attitude and to provide the best customer service, we must also be able to apply please others on all aspects of life. Not only potential customers, but to be nice and friendly to everyone, even strangers. Because, basically, to win the trust of others, we should be a nice person. Being fun, then our presence in the environment to provide a positive atmosphere. When you position as a consumer, when you buy something, if I can choose to buy or not a nice person, who you going to buy? The answer is 100% sure that you will buy at the party. In the day to day activities are in fact many ways if we want to do good to others without hurting yourself. Once I was ready to take the money in the ATM. My normal conditions queues waiting were about 4 and a man appears behind me. From the facial expressions and gestures seem very anxious queue. It looks like it is pressed and there is something important. Directly in front of me was not just take the money, but also do some transfer takes longer. Once my turn, I looked back and let the guy behind me to precede me. For a moment he was silent, perhaps not thought about what I do. I nodded to clarify my intentions. He thinks again and send me. I do not know why he is interested in a hurry, but I felt there was something important. There is no problem for me, because at that time I was pretty free, so it is not affected by jet lag. Once finished, he smiled local expression of relief, and I thank you again. So I smile back and answer his words. Glad I could help others and do for others without having to know in advance. Two months later, my agent asked for a time to join the field work to its customers. As usual, I asked my agent to role play in advance, and we discuss what we have presented a number of scenarios and situations. Continue our discussions during the trip so that we get rich scenario. Finally, we come to the end, one of the expeditions office. Because've obtained an appointment, an employee entered the room we invite prospects. And my agent to introduce prospects to me. When shaking hands, our eyes collided. The prospect of a break, and he seemed to be trying to remember. Finally, he asked me if I meet in and let precede ATM queue. Frankly, I had forgotten the incident. Also should remember his face. I smiled as he recalled the face frankly the guy. Faced with the prospect of change and look nice. And while it must explain why in a hurry. Since then, employees have had an accident, and her family need to be taken immediately to another distributor at the same time funds. And he said, do not think I give a tour of it. The atmosphere was not like we skenariokan, because it was like a conversation. Do you think the result of the perspective of my agent? Closing or not?. I do good deeds for others turns an impact on aspects of our lives. We sow we reap no time. That day I made a smooth presentation agent, prospects do not spend a lot of objections. And closing with ease. On the way to my agent said that today's current outlook is more perspectives throughout their experience. And he got a valuable lesson. severity. Since I do not carry luggage, I often ask my quota to use someone else. Many shocked expression I see this person. Because they do not think there are other people who want to. Many of us are reluctant to do so not because they feel a loss, but we are reluctant to interact with others. We too cool with the surrounding environment. Similarly, while I was waiting for boarding, I walked into the lounge of the airport as contingent credit card I can get for 2 people, I often invite others to re-enter the room I also. The facial expression of shock often I catch Dati. In general, people do not think, no we do not know want to share org. Everything I did not hurt me at all. I do not expect a response from the person, but I always learned to please others. So if there is a public perception that the insurance agent is the person who makes disrupted. Honest people avoided the environment. I want to change this paradigm. We must prove that the insurance that we all to be fun for the other agent. We always learn first smile to others. Indeed, it is sometimes limited by the rules of the genre. That will not allow women make the first smile, especially for men who had never met before. If it can not be that way, a lot of things we can do to make a positive staff. Warm and personal, and attention to the environment. I was always taught to agents always do things to please others without having to harm us. When I say this teaching, there is an opinion often seems to be hypocrites. Which displays expressions that do not conform to our hearts. There is another point of view, which says that if we do good so that customers will close for us. Thus, the good deeds that we tend to others, not because based on the merit of sincerity. I say, the most important is to please others is a positive action. Despite first you do is full of trends, I think because of the constant, eventually becomes a positive habit. And positive habits that continue to be made in a positive character. So what's the harm?. Keyword: insurance agent, agent hated, agent insurance hated people, insurance agents, hated people.